Discover the secrets behind Fantasia, Pinocchio, Dumbo, and Bambi—all through the lens of early animation's most enigmatic and fascinating character, Herman Schultheis. A technician at the Disney Studio in the late 1930s, Schultheis kept a covert scrapbook of special effects wizardry, capturing in photographs and text the dazzling, behind-the-scenes ingenuity of early Disney films. Later, when he mysteriously disappeared into a Guatemalan jungle, his notebook was forgotten ... and with it, the stories of how these beloved animated classics were made. Miraculously unearthed in a chest of drawers in 1990, Schultheis's notebook is now available for all to see at the Walt Disney Family Museum in San Francisco—and in this compelling and beautiful book. 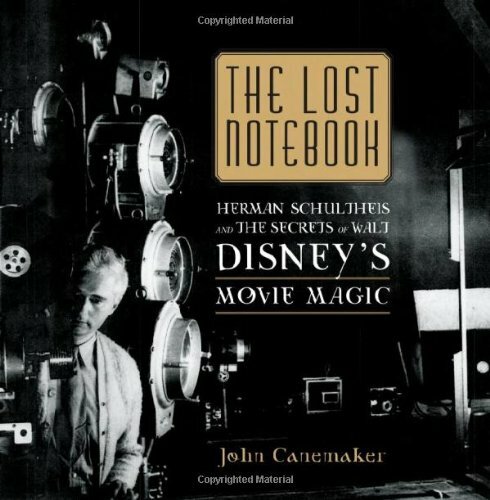 Part annotated facsimile of the scrapbook itself, part biography of the complicated, overly ambitious man who made it, The Lost Notebook is a goldmine for Disney and animation enthusiasts and a vivid, riveting account of one man's plight to make it big in early Hollywood.